﻿ Retire in Canada - What's it Like? How Different is it to Retire in Canada? For people who retire in Canada, there are a few key differences that make the lead up to retirement much less stressful. 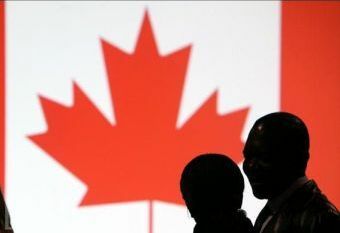 The US are Canada are neighbors, yet there is so much different in terms of how the people from each country see and plan for their retirement. Today, all of America is still struggling from the effects of the recession. Because of the recession, inflation rates are high. Retirement plans for some people have been altered drastically because of the current economic downturn. The people in Canada are also affected by the recession, just like the rest of the world. However, they are not as stricken as the people in the US. This may be surprising considering that these two countries are side by side. Retiring in Canada is very different from retiring in the US. People retire in Canada much differently than people do in the US. The people here are less anxious on whether they have saved enough for their retirement. They do not constantly worry whether they are going to outlive their retirement savings, while many people in the US do have such worries. People in the US place a large emphasis on their health and wellness prior to retirement. They do this for the reason that investing on their health today will leave them in a much healthier state in the future when they get old, and that means less medical expenses when they retire. Conversely, people who retire in Canada place health care as third on their priority list when they make their retirement plans. People retiring in Canada maximizes their contributions on tax-deferred plans for retirement. In the US, this is equivalent to the 401(k) plans. On average Canadians start their contributions earlier than those in the US. As a result, the nest eggs that they have build have had additional time to grow and compound. Even a few extra years of saving can make a substantial difference. For a clear example of this try modifying the number of years until retirement and notice the huge difference on any of the retirement calculators on this page. A lot of people in the US are considering taking another job after they retire just to support their standard of living. Fewer people who retire in Canada entertain this idea, or decide to take a job as something to keep them busy, rather than as a necessity. When we retire, we actually have fewer expenses compared to when we are still working. Having said that, it means you do not even have to need as much money as you need now to retire comfortably. On average, the people who retire in Canada have learned to live by their means. That is an example worth imitating. By having a simple retirement life in mind, you will be less anxious about saving up for your retirement. All the same, you should be maximizing your income generating resource to support your retirement.